West side icons lost, found, and newly created. A regular Outside Lands contributor recently expressed amazement and regret that the classical façade of the Twin Peaks Tunnel had been torn down years ago, for a replacement MUNI station that best resembles a Star Trek movie set gone awry. Let's face it, politicians and architects have not been kind to the past—just look at the fact that Victorian homes and cable cars almost became extinct as the result of misguided 1950s planning, and that a swath of destruction, once envisioned as the "Western Freeway" was designed to plow through the Parkside District, circa 1955 or so. 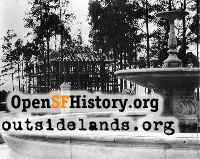 Since we've now burned through almost 10% of this new millennium, let's take a quick look around the Outside Lands to see what we have managed to bring with us into this new era, to recall some of the gems have been lost somewhere along the way, and to give a nod to a few new things that have turned out great. St. Ignatius Church—Regularly referred to by the late Herb Caen as "the timeless twin towers of St. Ignatius," they've been an icon on the skyline for more than 95 years. Note the irregular brick color on the lower corners of each tower, stemming from earthquake retrofit work, circa 1974-75. 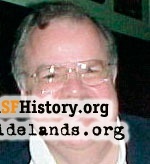 That's what saved the place from serious damage in the 1989 Loma Prieta earthquake. 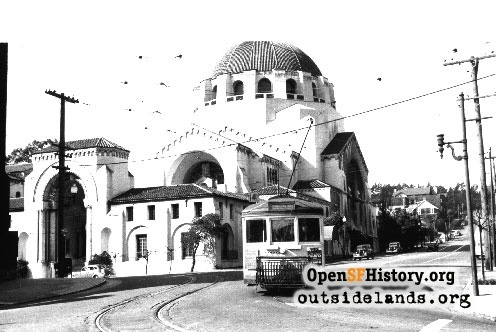 Temple Emanu-El and 24 streetcar at Arguello and Lake Streetm 1940s. - Courtesy of Jack Tillmany. Temple Emanu-el—Magnificent dome atop a beautifully designed building, and a focal point of the area since 1925. It's awe-inspiring from a distance, and more beautiful when viewed from up-close. Take one of the docent tours for a closer look. Golden Gate Park—Improved maintenance over the past few years, better night lighting, and some sensible vehicle restrictions. Now they just have to start a massive tree planting program to fill in the gaps where old trees have fallen or been removed, not to mention establishing some sort of people-mover system from the Panhandle to Ocean Beach on weekends. The Music Concourse in the Park—Where else can you go and enjoy virtually the same relaxing experience that your grandparents, great-grandparents, and great-great-grandparents did in the 1890s? Just sit back with friends, and enjoy the surroundings. Dutch Windmill—There it is, out near the beach, turning slowly and majestically once more. The flower beds are a riot of pink, salmon, lavender, and cream impatiens, covering tens of thousands of dormant tulip bulbs of every hue that will burst into bloom next Spring. There are few places in San Francisco or anywhere else that are as tranquil as this secluded setting on the very edge of the continent. Eezy-Freezy Market on West Portal—When you need batteries on Christmas morning, a can of cranberry sauce on Thanksgiving afternoon, or just a box of laundry detergent at 10 o'clock at night, there are the clerks at Eezy-Freezy, waiting to help, just as they have been since I was growing up in the neighborhood in the 1950s. Café for All Seasons—A wonderful replacement to the Foster's Cafeteria that was there for years, until the Café arrived circa mid-1970s. Original Foster's black-and-white tiles on the floor. Gold Mirror Restaurant—Been there since I was growing up, and consistently good Italian food, right there in the neighborhood. A recent bout with a delivery truck resulted in some nice improvements near the entrance. Old Shriner's Hospital—Classic red brick 19th Avenue structure converted to new use a part of a new master-planned retirement community. The conversion preserved most of the original building and extensive landscaped grounds. Fountain at the Circle in St. Francis Wood—Teenagers used to pour dishwashing liquid into it and watch bubbles overtake the neighborhood back in the 1960s. Now it is just a quiet reminder of the World War I era in a peaceful, tree-lined setting. Polly Ann Ice Cream—Not quite the same as the old place, which was just up the block, but pretty nice anyway. You'll never get through all their varieties. Beach Chalet—Once just a VFW hangout with cigarette machines cheap beer, now a great casual dining experience with an unforgettable view. Cliff House—OK, I have a gazillion architectural issues with the restoration of the building, I'm just glad that it was saved. If the Park Service could just do a bit more to spruce up the front wall and create some softer landscaping, it would be great. 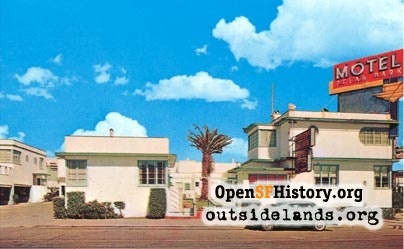 Ocean Park Motel—I finally stayed there for the first time in my life on an overnight visit to SF last year, and it's a whole lot nicer than some of the on-line blogs would have you believe. It's classic art deco moderne, with a nice staff, good standards for cleanliness and the like, and an overall quiet location. So you hear a streetcar at 11 o'clock at night—if you were downtown, the cable cars would be even noisier and you would look forward to hearing them. An occasional far-off growl from the Zoo or muffled blast from a distant foghorn just adds to the charm. Doggie Diner Head—It was never one of my favorite things growing up—as an S.I. student, my friends and I frequented the outlet at Arguello & Geary—now long gone. Sitting in the middle of Sloat Boulevard near the beach, it's a nice reminder of the past, when there were Doggie heads all over town. Rousseau-built homes in the Sunset—Drive along certain blocks around the mid-30s and Kirkham, Lawton, Moraga, and you will marvel at the architectural detail that one builder put into his homes. As good as Mr. Doelger was, as an artist, Rousseau managed to beat him hands down. Palace of the Legion of Honor—Mrs. Spreckels' magnificent gift to her beloved city, donated in 1924, along with many of its priceless works of art. Wonderfully updated and maintained. Sigmund Stern Grove—How did the Outside Lands get so lucky to have this gem of a spot donated as a park? Deep in its interior, the old Trocadero Lodge is loaded with history, right down to a couple of century-old bullet holes in its front door. The new signage and recent upgrades have made a good thing better. Mother's House at the Zoo—Cool, quiet and relaxing—what more can you ask when you're out & about with the kids? Eternal thanks go to the late Brothers Fleishhacker and their beloved Mother Delia for this generous gift to the public. Crissy Field and Fort Mason—If you haven't visited these areas in the last few years, come and take a look. They are all works in progress, but magnificent restorations and re-uses are underway, with native plants reclaiming the terrain, thanks to the Golden Gate National Recreation Area and YOUR tax dollars. Architectural elements from the old Academy of Sciences—bronze seahorse railing on the alligator pit, hand-painted ceramic tiles from the Steinhart Aquarium, original interior support columns and coved ceilings in the African Hall, plus that magnificent plaster walrus head by the elevator next to the new aquarium gift shop all add notes of history to the new structure of the Academy of Sciences. The Portals of the Past—Columned entry way of the old Towne Mansion on Nob Hill, carefully reassembled on the shore of a small lake in Golden Gate Park, as the City's only official monument to the earthquake and fire of 1906. 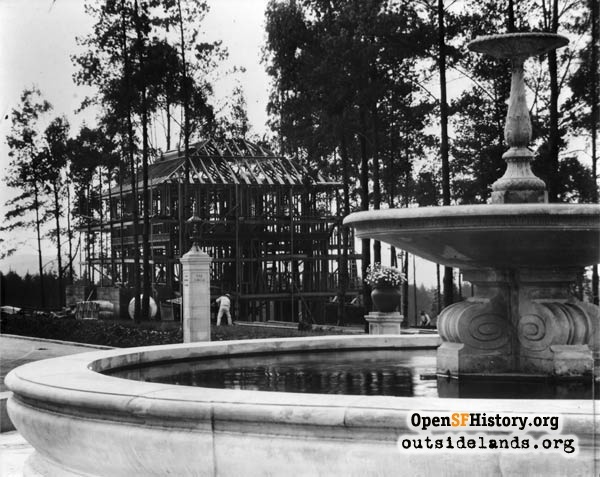 Ironically, though the portals withstood the shake of 1906, the March, 1957 earthquake caused one of them to topple. 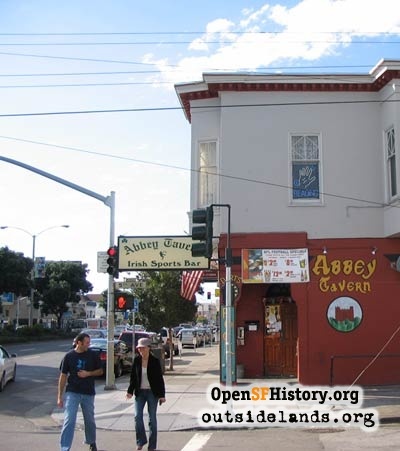 The Abbey Tavern—Geary Boulevard bar with Irish music that's been going strong for nearly 40 years. Spend a few hours here, and you'll leaving with an accent that makes you sound as though you grew up in a Western town—Listowel, Ballybunion, or Castleisland in County Kerry, that is. The Tennessee Grill—Could use an interior coat of paint and some better lighting, but when you're hungry at 6 a.m., it's the only game in town in the Parkside District. Good food, prices, and service. Not glitzy, and it's been there for 60 years or more. Joe's of Westlake—It's in the general Outside Lands as far as I'm concerned. It is the absolute best place to take visitors, along with being a regular hangout for family and friends, post-funeral events, late-night dining. Over the years, I've tried every item on the menu, and have yet to find a clunker. Their minestrone is good, their ravioli are the best, and their golden clam chowder on Fridays has no equal. Great cocktails and completely drinkable house wine. They probably go through more French bread and butter than any other restaurant around. You'll probably be waited on by the same person who served your grandparents back in 1956 when the place opened. It's IT—Classic chocolate covered vanilla ice cream sandwich invented in 1928 at Playland. That last sand dune at Great Highway & Balboa—A quiet little reminder of how it all began in the Outside Lands. 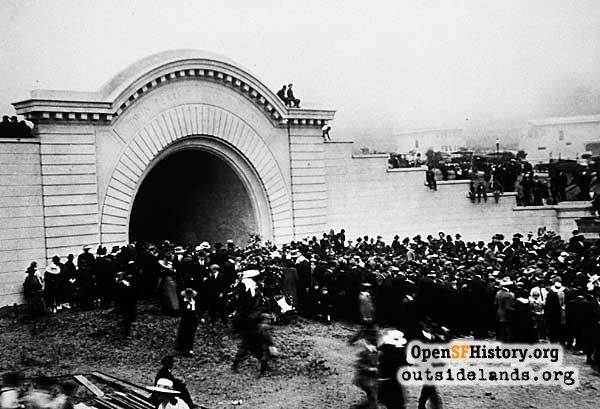 Original Twin Peaks Tunnel façade on West Portal—Demolished in 1976. Vicente Variety—Neighborhood store at 23rd & Vicente that carried everything from a needle to an anchor, plus in-store lunch counter/fountain. Closed circa 1968-69. Herman's Delicatessen—Out there at 7th & Geary from the 1920s until the 1970s. I still remember the dark blue ceramic tiles on the lower front façade, and the deep rich smells of the meats, cheeses, salads, and the pickle barrel. There's nothing quite like it anymore. 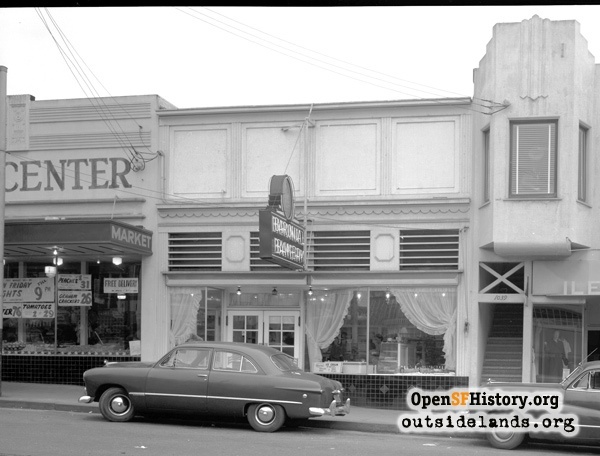 Neighborhood See's Candy stores—Used to be many more of them, including West Portal, Upper Market (both closed in the 1950s), Irving Street (closed in the 1980s), Chestnut Street (closed in 1994). The last non-mall, non-downtown location seems to be Clement Street in the Richmond District. Luzern Restaurant—Great little Swiss restaurant on Noriega that operated from the 1970s until the turn of the millennium. Every meal included a salad of butter lettuce and cup of potato-leek soup, with a complimentary dessert. 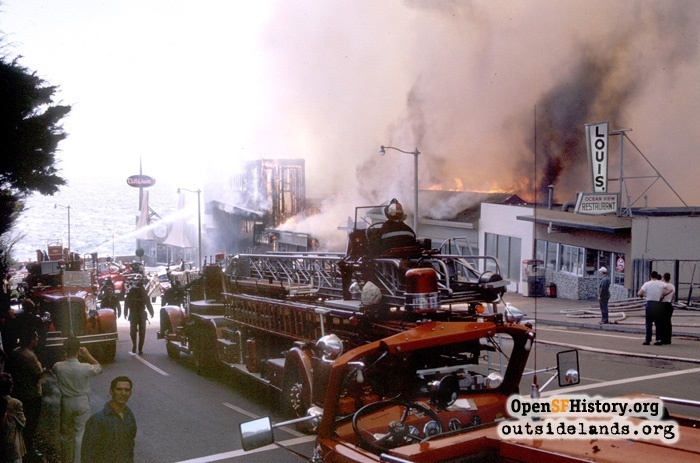 Sutro's—Two fires managed to do the place in—1963 and 1966. Padded and upholstered bus & streetcar seats—Gone from new vehicles by the 1970s. Small neighborhood grocery stores—If you're out of something in the middle of dinner preparations, do you really want to get into the car and drive miles to the nearest Safeway just to stand in line for 15 minutes at the check-out in order to pay for a single head of lettuce? In the past, the youngest child in a household could be dispatched to the nearby corner grocery store for that last-minute item, and be able to return in under 10 minutes, safe and sound. Free admission to museums and the Zoo—ended in 1970. Roberts at the Beach Motel—Still there but truly just a shadow of its former self—used to be the site for great wedding receptions. 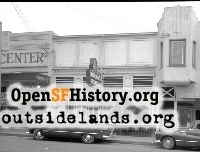 For years, the place paid to have a huge lighted billboard painted on the south-facing wall of the building on the southwest corner of 19th & Taraval, directing potential customers westward. Roundhouse Restaurant at the Golden Gate Bridge—closed in the 1970s. Nothing special in the way of food, but oh, what a view! El Camino del Mar from the Legion of Honor to the Cliff House—Winding street with magnificent views, but closed in the 1950s due to recurring landslides that were constantly undermining the roadway. Fleishhacker Pool—World's largest heated salt-water pool (patrolled by lifeguards in rowboats). Closed circa 1971 and eventually filled in and paved over for a parking lot. Original low-rise San Francisco State buildings—Verducci Hall dorm was the first high-rise blockbuster to be built, circa 1968, and then torn down in the 1990s following structural damage in the 1989 Loma Prieta earthquake. This place is no longer the quiet low-rise campus that was designed to blend in with neighboring Stonestown and Parkmerced low-rise garden apartments. St. Edward the Confessor Catholic Church—A light and airy "modern" church, built on California Street near Laurel Village in the 1950s, but closed and torn down in the 1990s, with the land sold off for condos. Baronial Bakery on Taraval—Best chocolate layer cakes and doughnuts in the world, but closed in the late 1960s when the owners retired. Neighborhood gas stations—It's getting to be that the only places to buy gas in San Francisco are along 19th Avenue, Lombard Street, and near freeway off-ramps. Decent public library hours—began to start fading in the mid-1970s. Johnson's Tamale Grotto—Vicente Street institution near 24th Avenue that operated from at least the 1950s through the mid-1970s. They served take-away food that Mom would always have placed in her own Pyrex dish, so that not a drop of the delicious sauce would be lost. Once I had my own apartment in 1976, I went by there with my own Pyrex dish in hand, only to find that they had vanished into a nostalgic cloud of chili powder several months earlier. Trees along Sunset Boulevard—constantly coming down over the last 30 years or so & not being replaced fast enough. Neighborhood Christmas lighting competitions—popular in the post-World War II years, particularly along 15th and 16th Avenues, 18th Avenue, St. Francis Wood, and most San Francisco firehouses, but these all faded from the scene by the early 1970s. 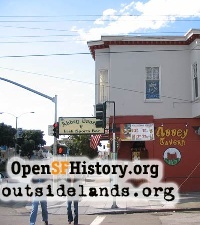 Fahey's Lounge—Neighborhood Irish bar at 24th & Taraval for years, until just past the turn of the millennium. Along with Outside Lands neighborhood bars in general, this exemplifies a dying breed. Are we all becoming abstainers at the same time? Red Chimney Restaurant—Classic sit-down restaurant with huge fireplace located in Stonestown Mall just south of the Emporium entrance on the west side of the Mall. This was San Francisco's answer to the classic Joe's of Westlake. Bruce Bary—Classic prep shop in Stonestown that should have opened up a branch location at S.I. They had everything that a young man of the 1960s might want—from blue pin-striped pants, to Clark's desert boots, button down collared shirts, alpaca sweaters, Madras shirts (both bleeding and non-bleeding varieties), plus classic items like the ubiquitous monogrammed handkerchiefs for the breast pocket of every suit and sport coat worn in the 1960s (check out vintage photos of JFK, Pat Brown, Ronald Reagan, etc. to see this look). Petrini's Markets—A supermarket chain that had locations throughout the Bay Area in the 1960s. They always had the very best in produce, meats, poultry, and fish. Unimaginably clean by today's grocery store standards, they also had long-time employees who were both knowledgeable and friendly to every customer. When they took over the highly popular QFI (Quality Foods Incorporated) market at Stonestown in the 1970s, there was some initial fear in the neighborhood about "changes", but everyone loved the folks at the merchandise at Petrini's. Herb's Delicatessen—Taraval Street institution for years, featuring "Hot Meatball Sandwich Thursdays". The storefront has been empty since Herb's was ousted years ago by a property owner who want to tear the building down in order to put up condos. A vacant store front for 10 years does nothing to improve a neighborhood. LeCyrano—Quiet little Geary Boulevard European restaurant, located just west of the Abbey Tavern. In operation from the 1970s until the turn of the millennium, it was impossible to get a bad meal there. Those folks ran a perfect business, and crowded though it was, there was always a table opening up just as your group arrived. Underground parking garages at the Music Concourse in Golden Gate Park. All the building restorations at The Presidio (new Disney Museum opened October 1, 2009). New traffic signals on 19th Avenue that ensure you won't miss seeing the red light. Expansion of MUNI streetcar service with new lines that make travel a bit easier. Alma Via—a large, new, clean, and odorless retirement facility near Highway 280. The new, varied color scheme on the buildings in Parkmerced. The new deYoung Museum—the jury is still out, trying to decide if I like or dislike this one! Page launched 4 October 2009.